Are you Focusing on the One Thing? Helen Marston has been a member of WSGVAR since March 2009. She graduated from Peking University and received her MBA from California State University, Los Angeles. After becoming a REALTOR®, she has earned a variety of NAR designations and certifications: CRS, GRI, SRES, CIPS, GREEN, MRP, SFR, etc. Working at Keller Williams Realty Arcadia, she leads as Associates Leadership Council while providing a Mentor role for new real estate licensees. Outside of her real estate business, Helen is an advocate for community service. 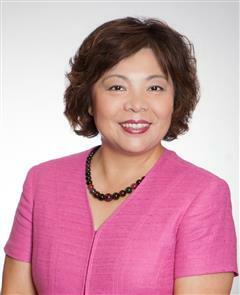 She currently serves as Chair of the Planning Commission for the City of Temple City, General Chair of the 74th Temple City Camellia Festival, and is also actively involved with different organizations in the community and the local schools. Helen was honored as Congresswoman Judy Chu’s "Woman of the Year” for Temple City in 2016 and was selected as one of the "Make A Difference” Honorees, awarded by the State Assembly Member, Ed Chau, in 2016. Based on information from California Regional Multiple Listing Service, Inc. as of 04/19/2019 02:44 PM. This information is for your personal, non-commercial use and may not be used for any purpose other than to identify prospective properties you may be interested in purchasing. Display of MLS data is usually deemed reliable but is NOT guaranteed accurate by the MLS. Buyers are responsible for verifying the accuracy of all information and should investigate the data themselves or retain appropriate professionals. Information from sources other than the Listing Agent may have been included in the MLS data. Unless otherwise specified in writing, KELLER WILLIAMS REALTY/ARCADIA has not and will not verify any information obtained from other sources. The Broker/Agent providing the information contained herein may or may not have been the Listing and/or Selling Agent.